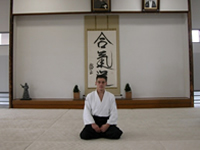 Home » News of the Mumonkan club » Katory Shinto-ryu seminar by Mr. A.Romanyuk in Mumonkan club. 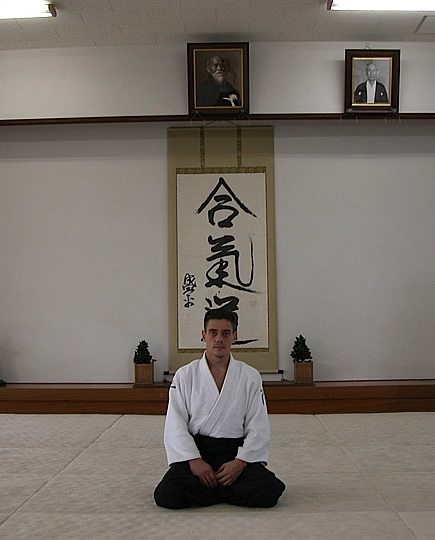 On May 28, 2010 a seminar took place in Minsk in Mumonkan Aikido Club in which Mr. Alexey Romanyuk (3 Dan Aikido Aikikai, Kobudo black belt of Tenshin Shoden Katori Shinto-ryu school, head of Moscow Dzen Thai Aikido Club). The seminar was devoted to working with bokken by Katori Shinto-ryu school technique. All aspects of traditional kata execution were considered. Besides, fighting aspects of a single combat were examined in detail. Thus all combat was divided into separate phases, and in each phase actions were shown which lead to the fight completion from one side as well as from the other.